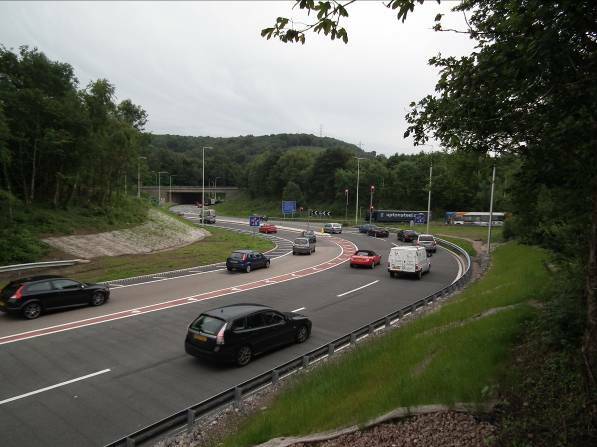 The M4 and the A470 are both busy trunk roads in Wales and form part of the strategic transport network supporting many communities within the area. The two roads meet at Junction 32 of the M4 at Coryton. Congestion during peak flows had been a problem at this junction for many years and it was identified as both a safety risk and a common cause for both public and business disruption. 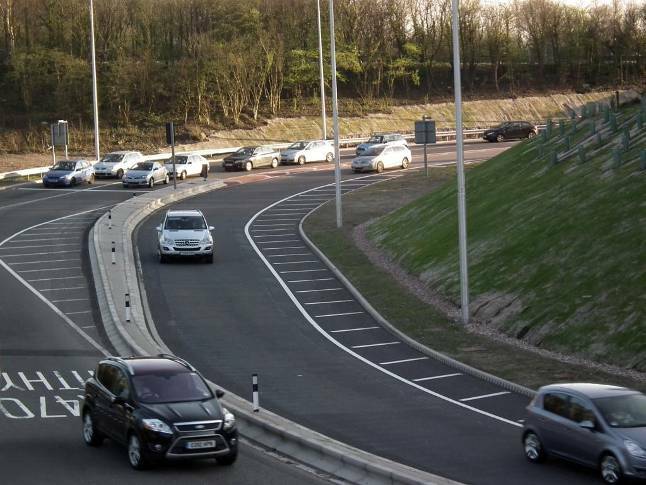 The improved highway arrangement now provides a dedicated lane for traffic from the M4 to the A470. 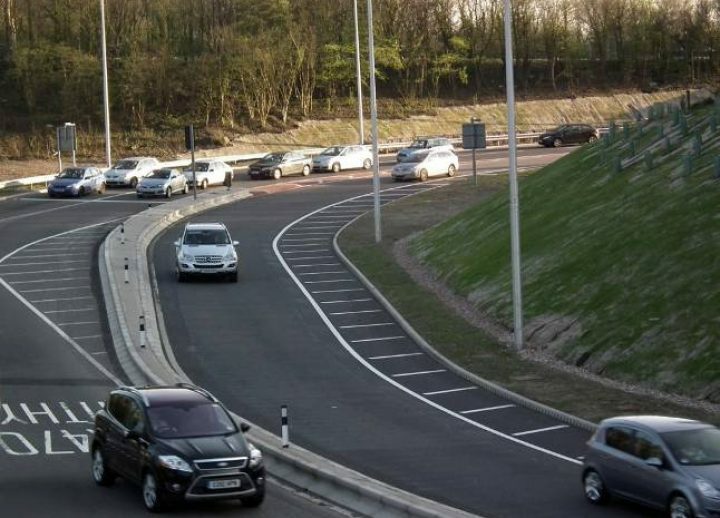 The two lanes of traffic from the Coryton gyratory now merge into a single lane on the A470 slip road. 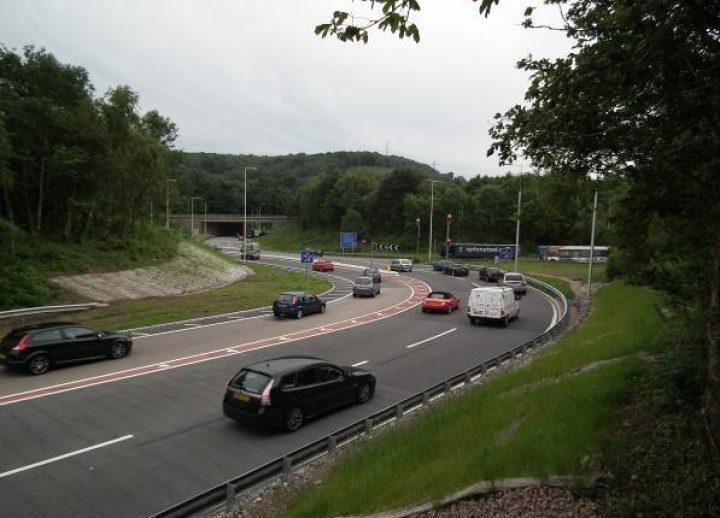 The new layout allows traffic to flow freely on to the A470 and maximises the road capacity of the Coryton gyratory. The sixteen week construction period, which was delivered on programme, consisted of extensive traffic management, site clearance and earthworks, construction of a 30m long, 1-3m high gabion basket retaining wall, utility diversions, drainage works, kerbing, and surfacing. Additional works included the provision of the vehicle restraint system, traffic signals, passive road signage, street lighting and the installation of the new MIDAS loops which is an automated intelligent traffic management system. 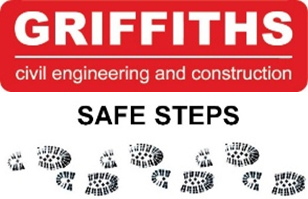 As part of the project a full Construction Environmental Management Plan was implemented which ensured all environmental issues, such as the presence of bats, badgers and dormice, were managed correctly. The project was considered highly successful by the Client and in 2012 won the Highways Magazine Excellence Award for Congestion Reduction.